Anchorage has such a diverse restaurant scene that getting out trying all the gems is sometimes hard to do. Let Alaska Rewards assist with todayâ€™s offer from Pho Lena East. 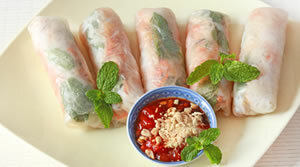 For only $10 get $20 of the very best in Asian Cuisine with a blend of Thailand, Laos and Vietnamese! This fantastic contemporary Asian restaurant is wildly popular for its fresh, exotic Asian dishes ranging from shrimp spring rolls to some of the freshest Pad Thai in Anchorage. Pho Lena East is conveniently located on Boniface Pkwy and the Glenn Hwy which is in close proximity to a cinema should you choose to make it a dinner and movie combo. With so many delicacies to choose from, the only other difficult choice to make is who youâ€™ll bring along to share this tasty deal with! Close proximity to a cinema; great potential for a dinner and movie combo! Limit 4 per person, may buy 2 add'l as gifts. No cash back and only 1 per table per visit. Can this be used for to go (takeout) orders? Yes! There is no restriction on dine in or take out. Enjoy! How many need to be bought to be able to get this? The deal has broken and everyone will get their vouchers tomorrow!